The average internet user spends 40% of their online time on Facebook’s news feed. There are more than 13 million local business pages on Facebook. Facebook fans are twice as likely to become customers in the future. Clearly, Facebook is a powerful force. But what does this mean for you and your marketing strategy? For one, it means that whatever your business does and whoever your target market is, odds are, they are using Facebook, and using it a lot—an average of 21 minutes every day, in fact. From senior civil war reenactment hobbyists in Louisiana to skateboarding-crazed teens in Michigan, your target customers are constantly checking their feeds, updating their statuses, and liking posts. That’s why it’s so essential to keep on top of the constantly developing Facebook trends and techniques when formulating a marketing strategy for your business. 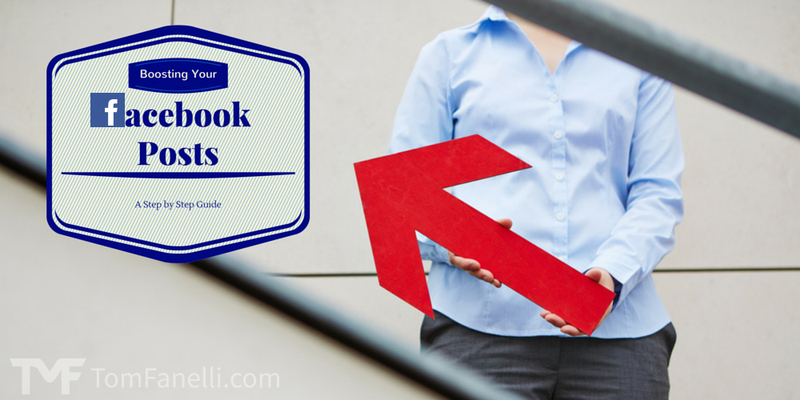 Facebook provides many tools to business owners for boosting their social media presence, and you should be aware of and understand each one of them. By neglecting to include some of the key tools in your social media strategy, your business could easily be drowned out by the literally billions of other posts soaring through the Facebook stratosphere each day. In previous posts, I discussed how Facebook’s recent algorithm update makes boosting Facebook posts more important than ever. Without a boost, most posts on business pages simply won’t be seen, let alone get interactions. 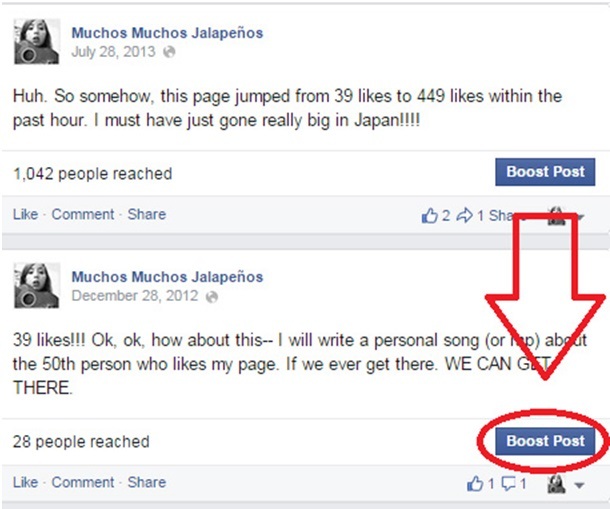 Boosted posts (formerly known as “promoted posts”) are a simple, speedy, and relatively cheap way of increasing the number of viewers who see your Facebook post. Unlike promoted posts, boosted posts allow you to reach new followers—not just people who have already “liked” your page. When you boost a post, you can choose to target your audience by a variety of relevant criteria, such as gender, age, location, and interests. Want to try it out? Let’s walk through the process. After signing into your Facebook account, visit your business page. You can choose to boost an existing post, or compose a completely new one to boost. After it’s up on your wall, click the blue “Boost Post” button to the bottom right of the post you want to use. The most successful posts have a strong call-to-action, inviting viewers to join a mailing list, take advantage of a discount, or attend an event. If your business previously posted something that did well in the past, particularly in terms of the level of engagement, consider posting it again – but boosting it this time. Consider your hook. Just because more people see it, doesn’t mean they will click through or engage, so make sure you give them a good reason to do so. Once you’ve chosen a post to boost, a window will pop up. To the left, you’ll be able to preview how your post will look on desktop and mobile news feeds. To the right, you’ll be asked a series of questions. If you choose the third option, you’ll be prompted to identify your target audience. After coming up with a name for them, you can set criteria such as country, age, gender, and up to 10 interests. Each of the three options will typically get you increasingly more exposure, and each is typically increasingly expensive. If your products or services benefit highly from repeat business, then the first option can be very cost-effective since you’re likely reaching an audience who has already made a purchase. To get maximum exposure for new possible customers, the third option is your best bet. As you indicate your total budget for this campaign, Facebook will provide you with an estimate of the number of people you’ll reach. You can also choose how long you want your campaign to run—up to seven days. Facebook will inform you of how much you’ll spend per day. The larger the budget, the bugger your audience. But to reach people who are more likely to be interested in your unique business or product, try narrowing your target audience by more specific criteria. Consider your ROI. How much do you make on a single purchase? This should greatly influence how much you are willing to spend on a daily basis. Take the time to determine the cost per person you reach, and keep in mind that only a percentage of those you reach will ultimately convert. Make it timely. You choose how long the campaign runs (between 1 and 7 days), but the longer it does, the more likely it will get stale. Test shorter durations to see if you can get better results. After choosing a payment method, you’re finished! 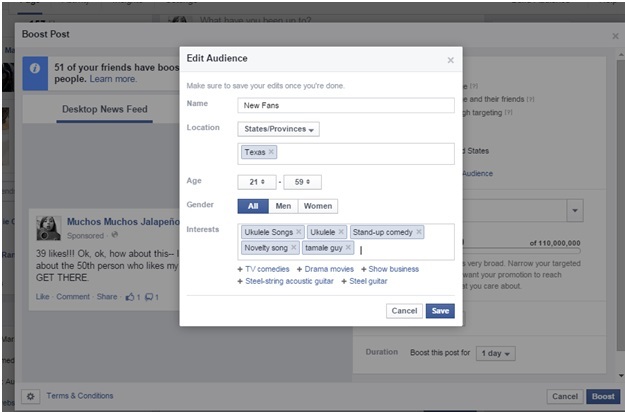 Your post should start appearing on the feed of your designated audience within seconds.